Municipality of Prilep is located in the central part of the southern region of Macedonia. It covers the Prilep field which constitutes the northern part of the largest valley in Macedonia, Pelagonia. 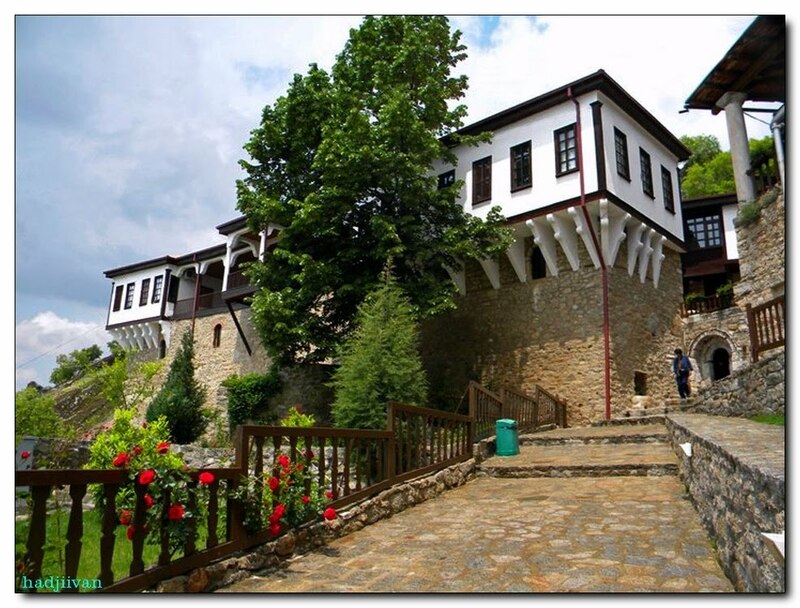 Prilep is located at an altitude of 620-650 meters, and on the hilly slopes up to 680 meters. In Municipality of Prilep, live 76,768 residents of which 73,351 in the city. Most of the residents of the Municipality of Prilep or 70,878 are Macedonians, but also there are 4,433 Roma people, 172 Serbs, 917 Turks, 22 Albanians, 17 Vlachs, 86 Bosniacs as well as 243 inhabitants belonging to other nationalities. 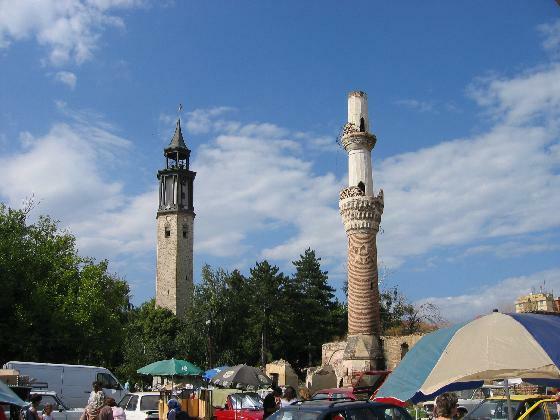 In historical sources Prilep was first mentioned in year 1014. The territory of the city and its surroundings constituted one of the most important strategic, political and military areas of this part of the Balkan. In the Pelagonian part were situated very important crossroads in the direction of the Aegean and the Adriatic Sea. The important ancient roads Via Egnatia and the Via Militaris had its most natural connection through Prilep. Through Prilep had also passed the shortest caravan-trade route, along which from the direction of the Adriatic Sea merchants and couriers from Venice and Dubrovnik seth forth to Thessaloniki. Throughout the centuries, on this area Hellenic, Roman, Byzantine and Slavic culture met and collided. The most representative monumental complexes from the ancient period are found on the sites "Bedem" in the village Cepigovo, "Bezisten" between villages Prilepec and Volkovo and in the city itself. At several sites were identified remains of the ancient cities Stibera, Alkomena, Keramija and Kolobansa. Based upon the cultural and historical monuments, no less important is the period of the Middle Age. 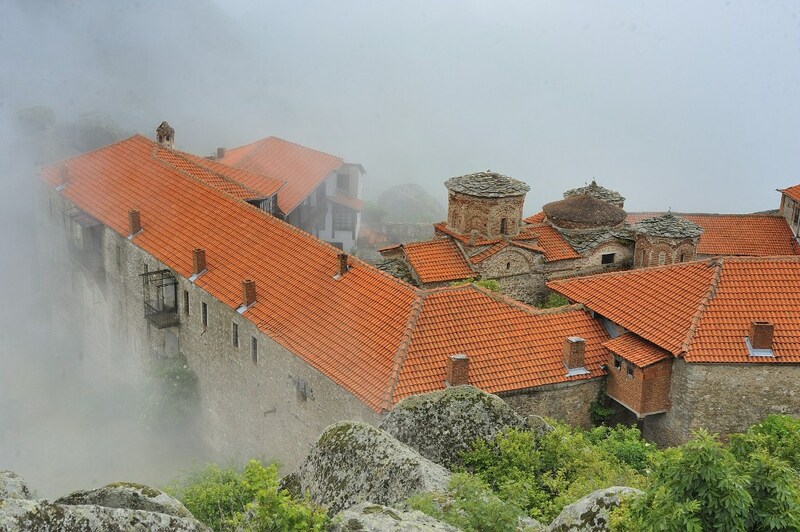 This includes St. Nikola Church, which dates from the 13th century, St. Uspenie na Bogorodica in the Monastery of Treskavec with representative paintings from 15, 16 and 19th century, as well as the Monastery with the St. Preobrazenie Church located above the village Zrze. The most important complex of cultural and historical monuments is located in the city itself, which was the center of wider political-territorial organization and significant political and military residence of the Macedonian king Samuil. 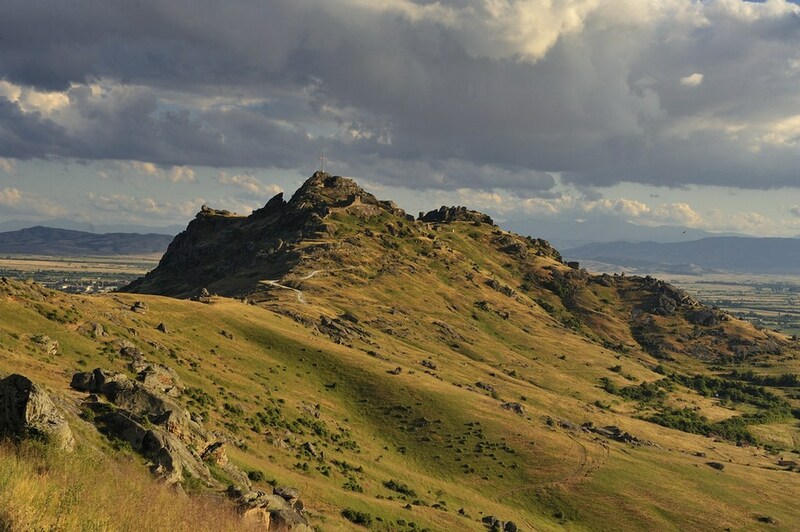 The complex of monuments of medieval Prilep covers the area of the rocky hill Markovi Kuli and surrounding areas with the sites Potkuli, Varos and Zagrad. On the hill Markovi Kuli is located one of the five biggest Balkan forts, and it consists of three defensive zones and many towers and gates. Prilep experienced its most important progress and growth during the post-war free development when it has grown into a significant political and administrative, cultural, educational, scientific and commercial centre in the Republic of Macedonia. Prilep gave the Macedonian literature more than 25 writers, the fine art twenty painters and sculptors and the Macedonian scientific idea more acknowledged scientists. 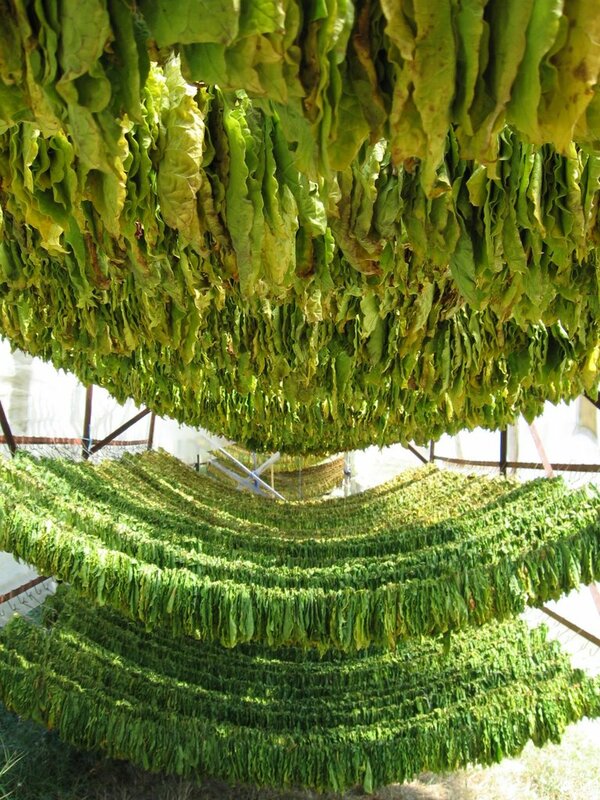 Prilep is a famous world centre for production of quality tobacco, of the type "Prilep", which is especially demanded on the World Market. Prilep is a city where there are mines located of one of the finest marble in the world. Prilep was founded on the ruins of the ancient city of Styberra, first a town in Macedon and later incorporated into the Roman Empire. Styberra, though razed by the Goths in 268, remained partly inhabited. 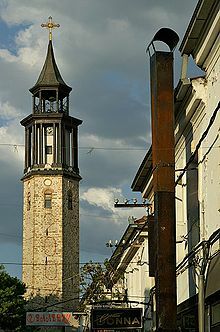 The town was first mentioned as Prilep in 1014, as the place where Tsar Samuil allegedly had a heart attack upon seeing thousands of his soldiers had been blinded by the Byzantines after the Battle of Kleidion. Byzantium lost it to the Second Bulgarian Empire, but later retook it. Prilep was acquired in 1334 by Serbian King Dušan and after 1365 the town belonged to King Vukašin, co-ruler of Dušan's son, Tzar Stefan Uroš V. After the death of Vukašin in 1371, Prilep was ruled by his son Marko. In 1395 it was incorporated into the Ottoman Empire, of which it remained a part of until 1913, when it entered into the Kingdom of Serbia. From 1918 to 1941 Prilep was part of the Kingdom of Yugoslavia, and from 1944 to 1991 the town belonged to the Socialist Federal Republic of Yugoslavia, as part of its constituent Socialist Republic of Macedonia. Since 1991 the town has been part of the Republic of Macedonia. Several ancient sites grace Prilep including one at Markovi Kuli, St. Nicola’s church from the 13th century, St. Uspenie church in Bogorodica, St. Preobrazenie church and the Tomb of the Unconquered, and a memorial in honor of the victims of fascism located in Prilep's central park. A large Roman necropolis is known there and parts of numerous walls have been found; the settlement was probably the ancient Ceramiae mentioned in the Peutinger Table. Roman remains can also be found near the Varosh monastery, built on the steep slopes of the hill, which was later inhabited by a medieval community. A large number of early Roman funeral monuments, some with sculpted reliefs of the deceased or of the Thracian Rider and other inscribed monuments of an official nature, are in the courtyard of the church below the southern slope of Varosh. Some of the larger of those monuments were built into the walls of the church. The most important ancient monument is the old city of Styberra situated on Bedem hill near Čepigovo, in the central region of Pelagonia. As early as the time of the Roman–Macedonian wars, this city was known as a base from which the Macedonian king Perseus of Macedon set out to conquer the Penestian cities. An important site in the area is Bela Crkva, 6 km west of Styberra, where the town of Alkomenai was probably located. It was a stronghold of the Macedonian kings after it was rebuilt in the early Roman period and was at the Pelagonian entrance to a pass leading to Illyria. Part of the city wall, a gate, and a few buildings of the Roman period were uncovered here in excavations. All recent finds from these sites are in the Museum of the City of Prilep. 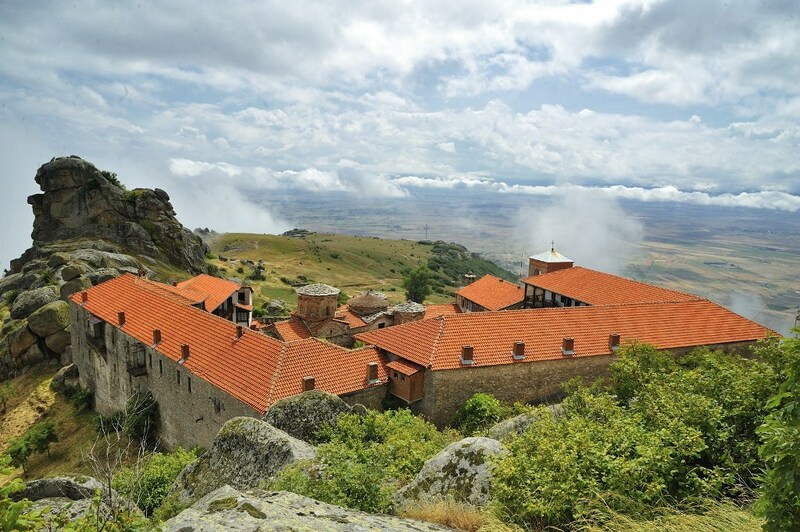 The Treskavec monastery, built in the 12th century in the mountains about 10 km north of Prilep under Zlatovrv peak, at the edge of a small upland plain 1100 meters above sea level. Prilep has frescoes from the 14th and 15th centuries and is probably the site of the early Roman town of Kolobaise. The name of the early town is recorded on a long inscription on stone which deals with a local cult of Ephesian Artemis. The inscription was reused as a base for a cross on top of one of the church domes. Other inscriptions at Treskavec include several 1st century Roman dedications to Apollo. The old fortress was used by the Romans, and later the Byzantines. After all, even Tsar Samuil came here after the defeat at Belasica in 1014. During the Middle Ages, after 1371, Prince Marko rebuilt the citadel extensively, making it an important military stronghold. If you are considering to go by bus you have a dozen of buses between Prilep and Skopje. Time travel is 2 hours. 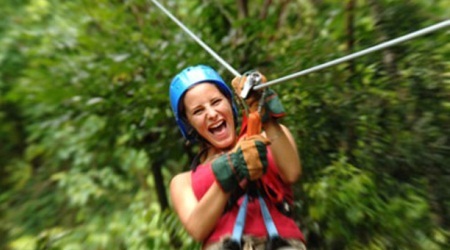 Price for one way ticket is 350 denars/5,6 EUR and two way tickets is 500 denars/8 EUR. Time of departure from Skopje: 04:15, 06:00, 07:45, 08:30, 09:00,11:00,12:30,13:30,14:00,14:30,15:00,15:30,16:30,16:45,17:00,18:00,19:00, 21:00. Time of departure from Skopje:6:48, 14:30, 17:10, 19:35. If you are not comfortable to travel by train or bus, you can always get a taxi.The price for one way is more or less 4305 denars/70 EUR. If you'd like to explore the land during your travel to Prilep you can go with a car or rent a car.Distance between Skopje and Prilep is 128 km.